Linda Connor has had a distinguished career as a photographer. She studied with Harry Callahan at the Rhode Island School of Design; then went on to study with Aaron Siskind in Chicago at the Institute of Design’s Master Program. Since 1969, she has taught photography at the San Francisco Art institute. Her work is in important collections, both museum and individual, nationally and internationally. Articles abound. I recently had the good fortune to visit Linda in her home in Marin County. It is a magical place filled with treasures from her travels; art from her friends, colleagues and mentors; and, quiet nooks and crannies to sit and reflect on all of these things. It is hard to know if the place is, in and of itself, intrinsically a magical place; or if it has been transformed by Linda and made so. My guess is that it is a bit of both, because Linda is both an explorer and an alchemist, roles that are reprised in her photography. Visiting her home, there is a strong sense of connection. The house and the gardens are rooted in Marin and they firmly connect you to what makes it a special place. Linda’s famous collections are not random. Each of the objects that have been collected connects you not only with its maker, but with its purpose. Linda showed me a marvelous assemblage of Tibetan molds used for making amulets to ward off evil or cast out spirits. She pulled out some molding wax and made me an ephemeral zodiac dragon. The objects are beautiful in their own right, but more importantly, once again they connect you not only to a place, a time and a purpose, but also to mystery that transcends that place, that time and that purpose. Whether you are exploring her home or exploring her impressive body of work from the last 40 years, you begin to realize that you are surrounded by transcendent touchstones. The current exhibition of Linda Connor’s work which opens at Haines Gallery on November 1st provides an interesting opportunity to explore these touchstones. There are several separate bodies of work represented in the exhibition. Each series is very different from the others, but all of them explore how we connect not only to the world around us but also to mysteries that transcend the world around us. 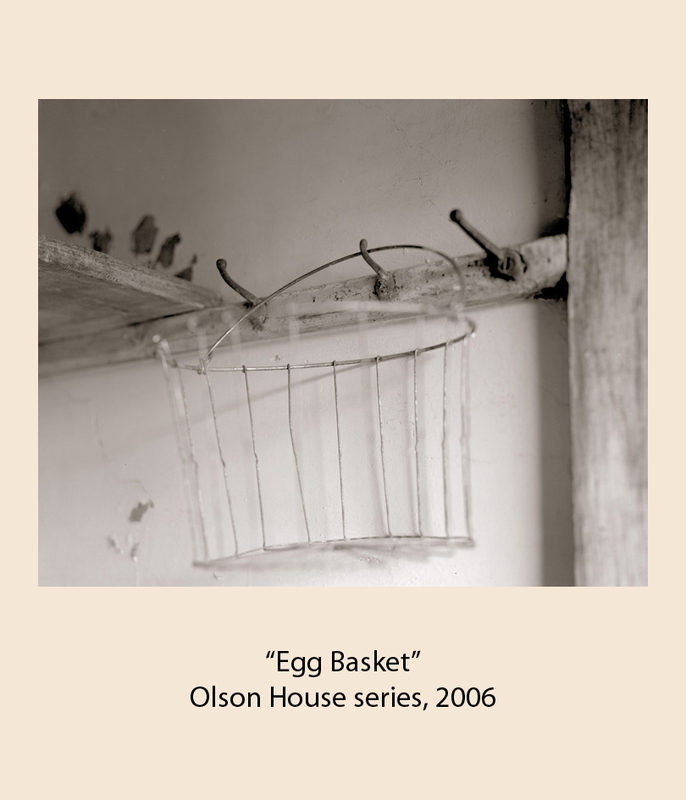 Most of the photographs are from Linda’s Olson House portfolio, a series of 28 works commissioned by the Cincinnati Art Museum in 2006 to serve as an artistic dialog with early works by Andrew Wyeth of the same house and grounds. 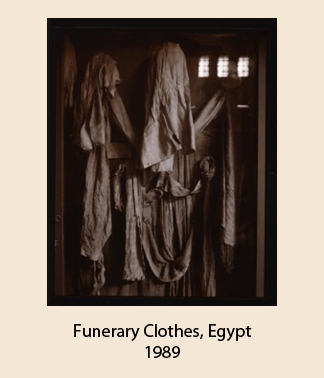 The exhibition also includes more familiar works from her many trips exploring places steeped with “sacred structure”. These include examples of her work taken with a large format 8×10 camera and printed both traditionally and also on silk banners. And finally, there is a large accordion book of photographs which pairs images from a mural depicting the bodhisattva of compassion, Avalokiteśvara from a meditation cave in the Ladakh region of India with images of the surrounding landscape. 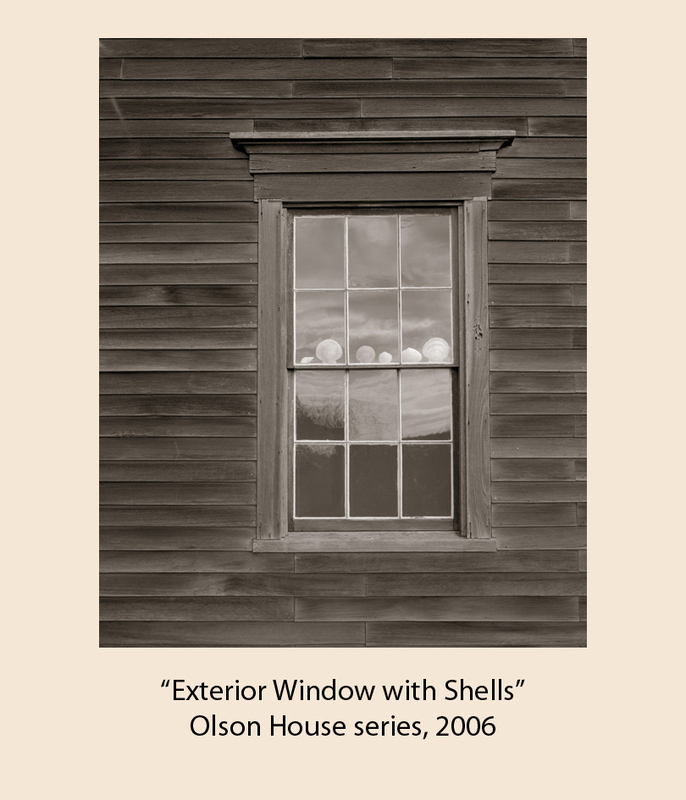 In my conversation with Linda, she shared the initial apprehension she felt when she received the commission to photograph the Olson House. Commissions were uncharted territory for her. She had always chosen her own subjects and she was concerned about how she would make the work “Linda Connor” work. She need not have worried. The photographs, like all of her photographs, explore connections directly and transcendently. Works like “The East Side … after Walker Evans” are, on one level, explorations of her personal connection to her photographic lineage. However, on another level, they also capture the quiet, spiritual quality of the place. 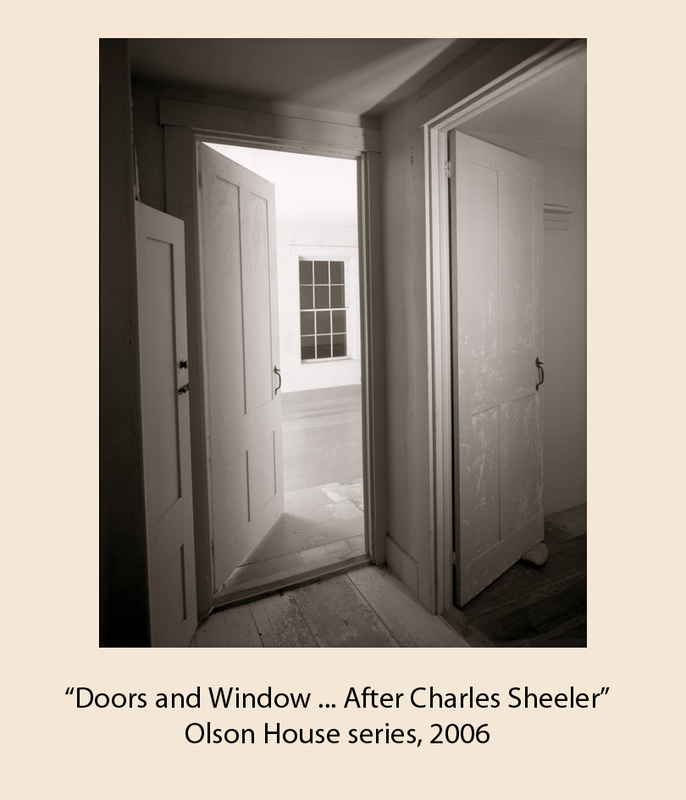 This is even more apparent in “Door and Windows … after Charles Sheeler”. Once again, the work is on one level an homage. However, it also explores a subject that Andrew Wyeth frequently painted in his work – the subject of looking into places from outside through multiple doors. It very much captures the spiritual nature of The Olson House. One feels the presence of Andrew Wyeth and his muses, Christina and Alvaro Olson. The gallery is also exhibiting a large accordion book which explores the connections between human renderings of the sacred and their natural echoes. The entire accordion is unfolded and properly exhibited – standing, with images on both sides displayed. 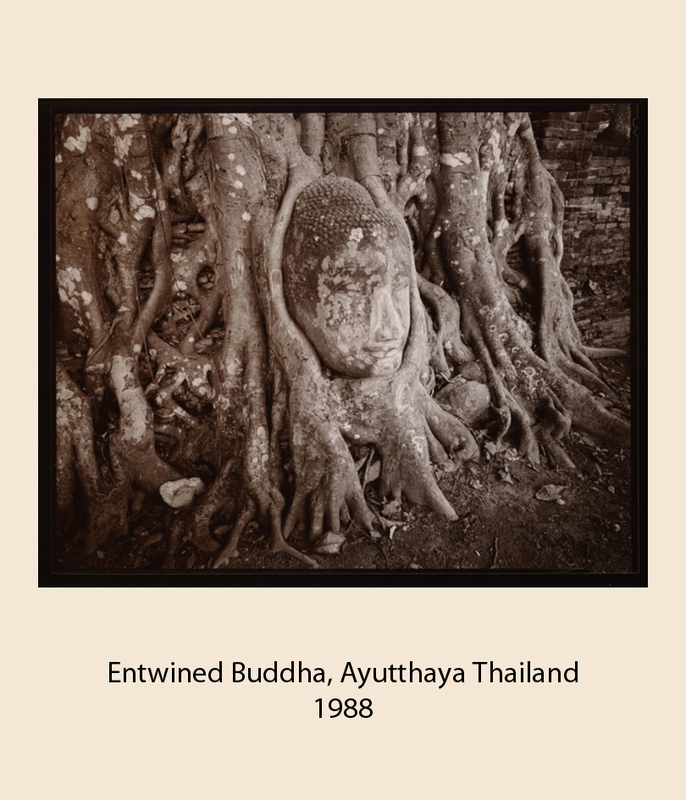 In the book Connor pairs images of a sacred bodhisattva with natural echoes in the surrounding landscape. And, in the process, the book itself not only explores connections to the mysteries that surround us, but becomes, as an object, a connection in its own right. 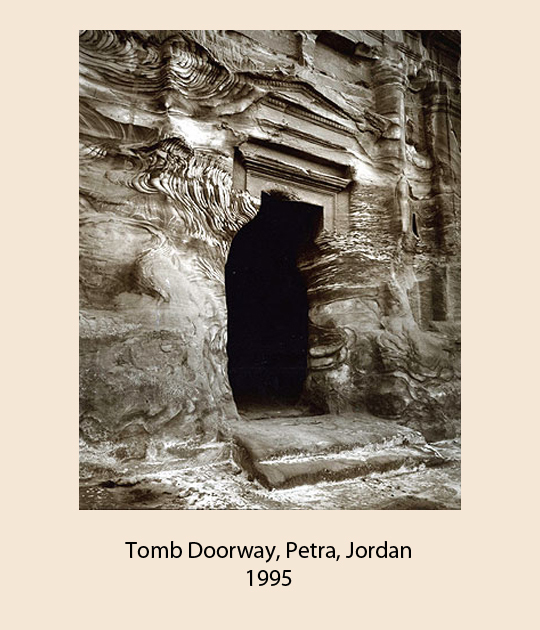 The Haines Gallery has also chosen to hang an older work, “Tomb Doorway, Petra, Jordan”. This is one of my favorite works since it combines in one image, connections that Linda often explores separately. The photograph captu res the sense of spirituality inherent in the place itself. There are the semi-ruins of an elaborately carved, darkened doorway. Over the centuries, the wind has changed the structure creating a hallucinatory framing of the doorway. There is the human structure purposely created as a sacred touchstone. Then, there is nature creating its own, even more beautiful variation on that touchstone, wrapping itself around the tomb’s doorway. And finally, there is the photograph. It memorializes the tomb and the wind. But, in the process, the photograph itself becomes a touchstone apart. “Two Worlds”, Linda Connor’s sixth solo exhibition at Haines Gallery runs from November 1 – December 22, 2013. The artist will be present at the opening on November 1st. Inquiries about works in the exhibition and other work by Linda Connor should be directed to the gallery.